Notes: I received an ARC from the publisher via NetGalley. Kazi is the Queen's thief and part of a squad of elite soldiers. She's been tasked to lead a team into Hell's Mouth to steal something the queen desperately wants. Under the guise of investigating treaty violations, Kazi and her friends will infiltrate the city and search for something in secret. Jase Ballenger has just become the new Patrei of Hell's Mouth. Just hours before Kazi arrives, Karsen Ballenger, the previous Patrei--Jase's father, died in the prime of his life. The death took everyone by surprise and Jase and his family are still grieving. The event causes quite a lot of confusion when Kazi arrives because she doesn't realize what transpired. To say, Kazi and Jase don't start off well would be an understatement. For Kazi accidentally embarrasses the new Patrei when she mistakes him for someone sticking his nose in where it doesn't belong--in her business. Things escalate from bad to worse as the two suddenly find themselves in a life or death situation with no one to rely on but each other. When I saw that Mary E Pearson had a new book coming out, I immediately requested the ARC. I love her writing style and world building skills. In the Remnant Chronicles, she created a world that you could practically reach out and touch through the pages. It was a world one could easily fall into and I've been a fan ever since. I didn't know much about this new series going in or what to expect. As I began reading, however, I realized I knew this world. 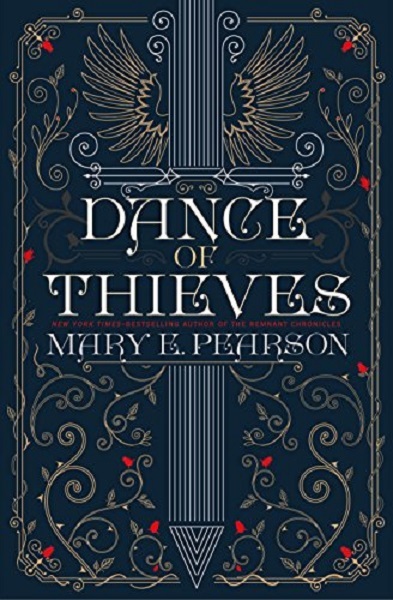 In Dances with Thieves, Ms. Pearson extends our view of the Remnant Chronicles realm beyond the reaches of Dalbreck, Morrighan, and Venda and now has us exploring the far-reaching edge of the lesser kingdom of Eislandia. Hell's Mouth sits at the border of Eislandia and Tor's watch where the Ballenger family stronghold is seated. Hell's Mouth has, for all intents and purposes, been ruled for many generations by the Ballengers even though they are without title. Rumor has it that Hell's Mouth was lost by the Ballengers to the Kingdom of Eislandia in a card game making everything all the more interesting. Dance of Thieves is told in alternating points of view. We are privy to the unique perspectives of the two main characters, Jase and Kazi and I enjoyed seeing how the two differed. We also get insight into how each perceives the events transpiring and what they are feeling. The story begins in Venda I'm guessing around six years after 'The Beauty of Darkness' left off and a year after a new treaty among the kingdoms was signed. Jezlia, the main character from The Remnant Chronicles, is now Queen of Venda. If you haven't read any of the Remnant Chronicles, you don't need to for this series, but you're probably going to want to after reading this book. Luckily, there are three books from which you can indulge. Kazimyrah 'Kazi' of Brightmist is a smart, level headed, kick@ss, heroine with mad skills who is as deadly with a weapon as she initially seems unassuming. She can read people very well and see things others cannot. She is as tough as they come and is referred to on the streets of Venda as "Ten" with whispered reverence. You see a complete set of ten fingers is practically unheard of for a thief, or an alleged one, yet Kazi has managed to keep all of her digits intact having never been caught. While many know what she does, or did, without proof they couldn't touch her, and she made sure they couldn't. But thieving isn't her only skill. Among the quarter lords she is known as the Shadowmaker for they swear she can conjure up shadows out of nowhere to hide, even when the sun is at its highest. This skill has served her well over the years allowing her to spy on both her enemies and marks. For there isn't a secret in the Kingdom that can escape her when she puts her talents to use. Jase, on the other hand, is a whole other creature. He's also smart and dangerous, but he comes from a loving family who nurtured him. While he's a bit green for a leader, having just come into power, he has the potential to be great. He has a good heart, is charismatic, and has a good feel for what needs to be done. Kazi, however, utterly confounds him. He's never met anyone like her and she knocks him off his feet, quite literally, from the very beginning. I loved seeing these two get to know one another and build a relationship. On many occasions they'll need to have each other's back in order to survive, and trust will not easily be won. I couldn't help but give this one 5 out of 5 roses. 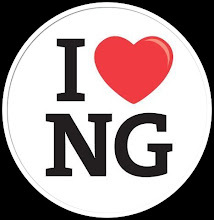 I was hooked into the story from the get-go and am still wondering where the story will go in the next book. I loved the complex world and multifaceted characters the author created. The mystery surrounding Kazi's parentage has me wondering if the next book will delve into that because I'm positive there's more to the story than meets the eye. What I loved the most was that Kazi never wavered from her plan. She accomplished what she set out to do and didn't apologize for it. She is loyal to the bone and I adored how both her and Jase seemed to fit together in a way neither expected. I look forward to reading the next installment of this series and seeing where the author will take us and the story next. I HIGHLY recommend this one.